Let’s be honest: if you need substance abuse treatment, it doesn’t matter what time of year it is. It’s always going to be a challenging, life-changing decision. During the holidays, we often associate an idyllic greeting card experience with resolving all of our problems. We extend a lot of “if onlys” wishes upon the wonder and magic the season seems to represent. But that’s not always the experience for individuals in real life. Many people have grief, depression, anxiety, and family trauma to deal with between the pumpkin pie and candy canes. There may be financial challenges, legal troubles, and work issues. For someone caught in the chaos of drug or alcohol addiction or fear of relapse, these and other triggers may be too difficult to handle alone. Choosing to enter an inpatient rehabilitation facility during the holidays may initially seem like an “I’ve hit rock bottom” decision. In reality, your inner compass is guiding you toward a better life. Maybe there’s some magic and wonder in the season after all. Whether you choose to weigh your decision with family and friends, or you simply enter into a program, there are many reasons why going to a treatment facility during this time of year can be beneficial. The added stress is alleviated. 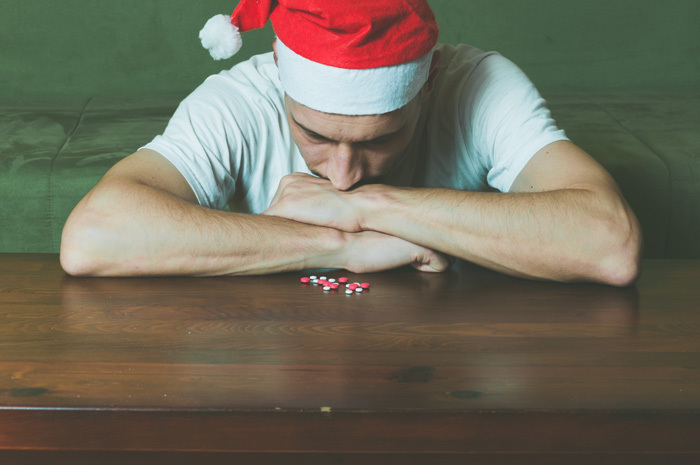 Medical experts around the world agree that holiday cheer often has a strong undercurrent of stress and conflict, even for people who aren’t struggling with substance abuse. For those who are, they may also have feelings of guilt or shame regarding their conditions, and blame toward family members and friends—all of which add to stress. People close to someone with a substance use disorder have valid concerns about his or her welfare, and this compounds stress as well. Your focus on wellness is justified. Entering treatment now may be the first step toward wellness you’ve been able to take. Too often, society doesn’t value the need for self-care, much less the required deliberate attention required to control a disease like addiction. For women considering treatment, family responsibilities weigh heavily on their ability to walk away and care for themselves. Some people might not be able to understand what a gift you’re giving your loved ones to spare them the holiday drama and seek essential treatment. You discover new meaning and purpose. Even the Grinchiest of us all wants to believe there’s a magical time when everything in the world seems right and all the wrongs disappear. Choosing to go into a rehab facility during the holidays may actually provide the necessary peace and distance to uncover what’s most meaningful for you. It’s likely that you won’t be alone, and can form more understanding relationships with others following a similar wellness path. One man blogged about his tranquil time in rehab over Christmas and how much it impacted his eventual recovery. The timing may be better for financial or insurance purposes. It might be imperative to evaluate the cost of treatment and what your insurance will cover by the end of a calendar year. While most major carriers provide addiction treatment, the total coverage may be determined by a certain level of deductible. Ask a friend or family member to help you navigate the details in order to make the best choice. You have an opportunity to create a fresh outlook. While some people don’t believe New Year’s resolutions have any motivational impact, some therapeutic experts place a lot of value on realistic goal-setting and strategic vision planning in order to change behaviors. The quiet time you have during your rehab stay over the holidays may provide space for reflection, mindfulness, and gratitude. A primary step in your recovery journey is researching treatment centers. Evaluate the pros and cons of rehab away from home. This may seem like a non-issue if you’d rather not be separated from your family during the holidays. But through your research, you can decide what your best course of treatment will be, and how your loved ones will be involved. Consider factors of discharge plans. The first year of sobriety can be challenging, even after detoxification, counseling, and other aspects of treatment. Continuing care through the facility, sober living options, and outpatient extended treatment provides an important connection to resources for wellness over the long term. Regardless of the time of year, your choice to release the burden of addiction and move through stages of improving your wellbeing is a true gift of self-love that will last a lifetime. It’s difficult to be away from everything you know, surrounded by strangers, and facing the truth of your circumstances. At Willingway, we understand these challenges, and have for nearly 50 years. This is why we’ve designed a campus that provides you with a sense of comfort and belonging. Our center offers private rooms and baths for your contentment, with common areas providing ample seating, 24-hour snack and coffee bars, and recreational activities. The campus is set on acres of lush grounds, providing you with many opportunities to relax in a tranquil, natural environment. Whether you’re coming to us during the holidays or any other time, we’ll do our best to make you feel at home. To find out more about services offered by Willingway, Georgia addiction specialist, contact us 24 hours a day at 888-979-2140, and let us help you get started on the road to recovery.